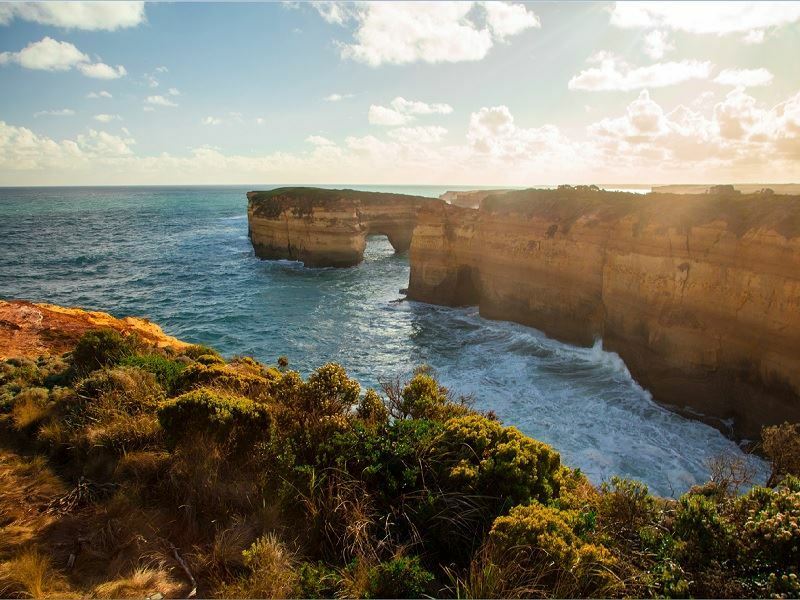 The Great Ocean Road is all about the road trip and the freedom of an open road that winds along the beautifully rugged south Australian coastline. 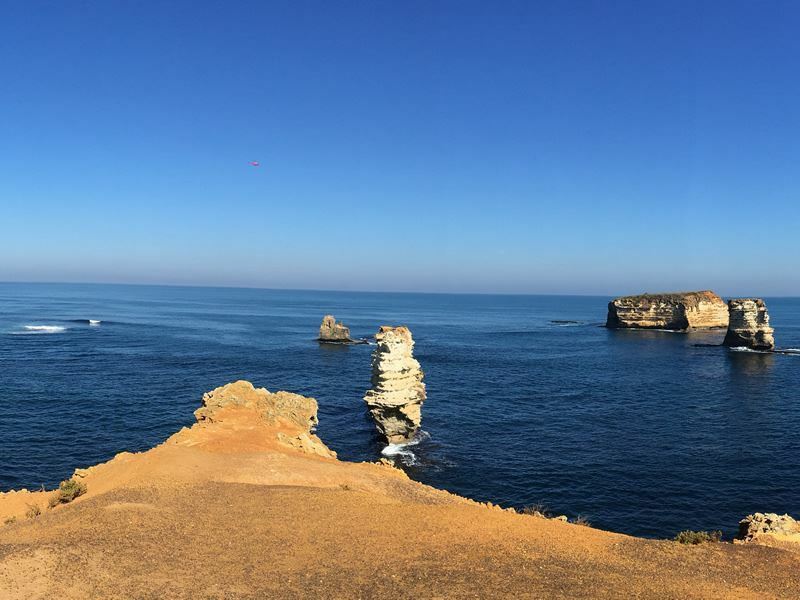 It is a 243 kilometre stretch of Australian National Heritage between Warrnambool and Torquay in the state of Victoria. Speeding along this famous stretch of tarmac, from location to location to location (The Twelve Apostles, The Great Otway National Park, Bells Beach, the Surfer’s mecca of Torquay, and so on..), is unreal! Put it on your bucket list. The famous highway starts (or ends, depending upon your chosen route direction) at Warrnambool. Here, if your timing is right, you can go Whale watching at Logan’s beach between June to October. Actually only six steadfast and determined towering islands remain, standing resolutely before the retreating coastline which abandoned them. They are slowly but surely being worn away by the tides as well, but there is still plenty of time yet to get those coveted shots that have become emblematic of the Great Ocean Road. Or better still, jump into a helicopter and see them from an aerial view. It's quite interesting to learn that they were originally named “ The Sow and Piglets”. It is uncertain when the name was changed, possibly when they started becoming a marketable attraction, but we certainly think they are worthy of a moniker of a more majestic and biblical resonance, although The Sow and Piglets sounds pretty cool. The Twelve Apostles are far from the only attraction on the road. The signs to scenic points are so numerous we would advise you not to get too comfortable in the car, because you will be in and out of it all day. Imaginatively named places like “The Grotto”, “Gibson Steps” and “The Loch Ard Gorge” are great fun to discover. The London Arch, another renowned rocky landmark is worth checking out en-route. Its dual arches bridging into the ocean earned it its name and comparison to London Bridge. That was until, in 1990, one of the arches collapsed (incidentally stranding a group of unlucky tourists on the far side) and it is now a singular lonely arch. An incredible part of the route is the The Great Otway National Park. The park has quite a large population of Koalas. In fact, you can spot them very easily from the road. Like strange marsupial fruit they were dotted about the gum trees and clinging to the branches deep in slumber, despite their precarious positions. They were also seemingly oblivious to any commotion or excitement they were causing at ground level. If you can tear your eyes away from the Koalas, the park itself is beautiful. You could lose a few days in here hiking through the rainforest and exploring secluded bays and waterfalls, fishing, horse riding, whale watching and spotting more native wildlife. It is a wonderful place to be for a while. Back on the road, Airey’s Inlet is another location worth some time to explore. Not because it is a beautiful town famed for its music events and arts, which it is, but because it is home to Split Point lighthouse, which you may recall fom the children’s programme “Round the Twist”. Stop off here to visit the lighthouse, chill out on the beach and imagine that strange things happen when you are going around the twist. The Great Ocean Road ends at Torquay the home of surfing brands Rip Curl and Quiksilver, beautiful holiday villas, restaurants, cafes, bars and surfing shops. It is a lovely, friendly town. This would be the place to take a break, take in some retail therapy, enjoy a well earned stubbie of Victoria bitter and some time to recuperate. It is also here you will find Bell’s Beach, where Point Break, unfortunately, was not filmed, but where every year they do hold one of the longest running surfing competitions. You could take a day or take two weeks, but if you get the chance you should really take some time to experience Australia’s most famous scenic route. Forget where you are coming from and where you are going to, and just enjoy the ride through fantastic picturesque seaside towns and fishing ports, dramatic coastline, and more activities and sight-seeing opportunities than you can shake a didgeridoo at. You could do the Ocean Road in a camper or in a limousine, if you so wish; in luxury or equipped with a leaky tent and squashed into an old Ford with buffalo horns emblazoned on the back windscreen and the words “please clean me” etched into the dirt. 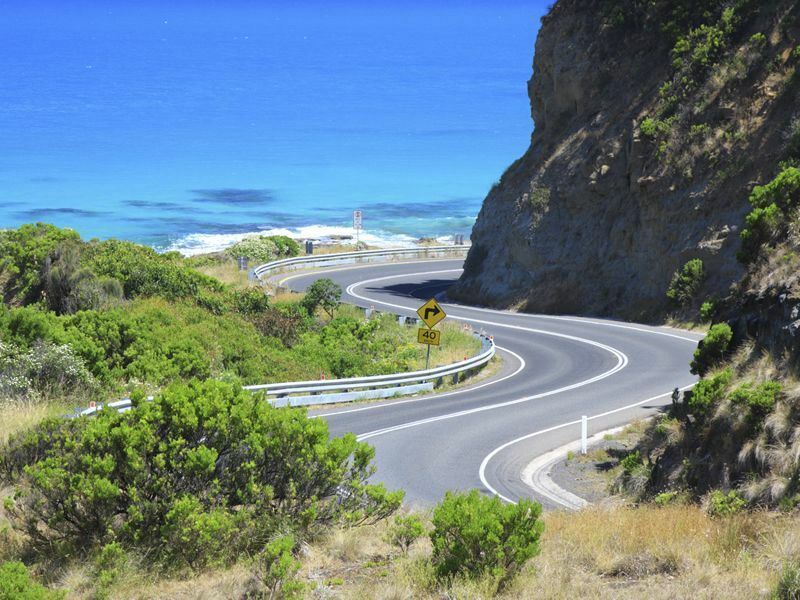 "One of the world’s iconic drives, the Great Ocean Road has to be on your list of journeys to experience. Officially starting in Torquay (not Devon) the 150 mile journey hugs the coast for the main part. The biggest mistake you could make is rushing the journey. Fabulous beaches are everywhere and a good first stop is Apollo Bay, with a great beach to learn to surf on and a great seaside vibe. Driving on roads lined with stunning aged Eucalyptus trees through Great Otway National Park is a pleasure. There are a million and one hikes to do as well. Whilst everyone talks about the 150 mile stretch, it is only a 20 mile section where all the iconic photos are taken, the road that leads up to Port Campbell. Here you will find the Twelve Apostles, London Bridge, Loch Ard Gorge, The Arch and my favourite the Bay of Islands. 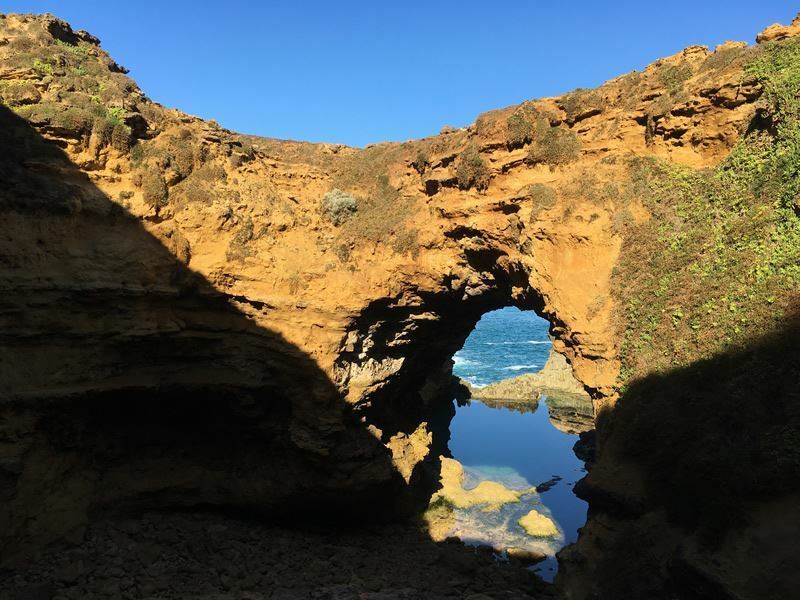 You must stay in Port Campbell, Anchors is superb, as the key sights are only 10 minutes away by car and you can be one of the few to see the Twelve Apostles at sunrise and sunset, there are no tourists at these times. It is a magical experience and just one of the those sights in the world that needs to be seen first-hand. Once at the Bay of Islands your choice is to hug the coast all the way to Adelaide or head for the Grampian Mountains. Enjoy the journey!"